NOTE: First things first, the two comic pages above are NOT original works by me. I have merely altered the amazing art and words of Bryan Lee O’Malley to fit my friends and I.
I’ve been thinking a lot about turning 30 these days. My 30th birthday is still a few months off but it’s a milestone that had been constantly on my mind. I’ve been talking with a lot of my friends about what it means to be 30 and wondering if there are any experiences I’d like to have in my 20’s while I still can. With the support and wisdom of Mariela, I’ve really embraced turning 30 and am looking forward to it as a rebirth into a new and improved Rio. At the same time I have become completely obsessed with the Scott Pilgrim series of graphic novels. The books themselves are a pretty good embodiment of the spirit of my 20’s, especially my time at Calarts. Mariela has been asking me what I’d like to do to celebrate my 30th birthday and I thought something Scott Pilgrim related would be amazing as a send-off to my 20’s. With that in mind I produced the two comic pages above (using the beginning of Scott Pilgrim vol. 5) as a kind of early invitation to my birthday party. For those of you keeping score that’s me as Scott Pilgrim, Ava as Ramona Flowers, Mariela as Kim Pine, Tokoztli as Joeseph, Bryan as Stephen Stills, Carina as Julie Powers, and Maya as an off-panel Hollie (I think). 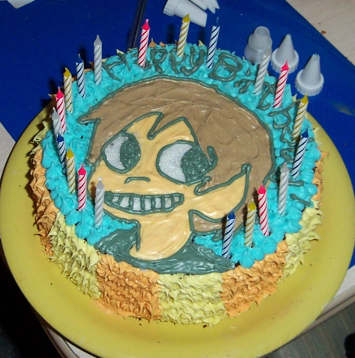 My dreams of having the first Scott Pilgrim themed birthday invitation were dashed when I discovered this blog post and image below. Behold! 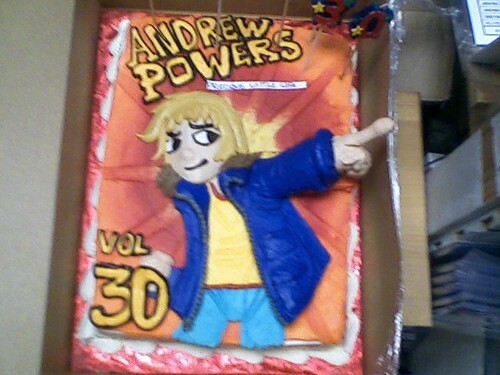 A gallery of Scott Pilgrim cakes! Dang! 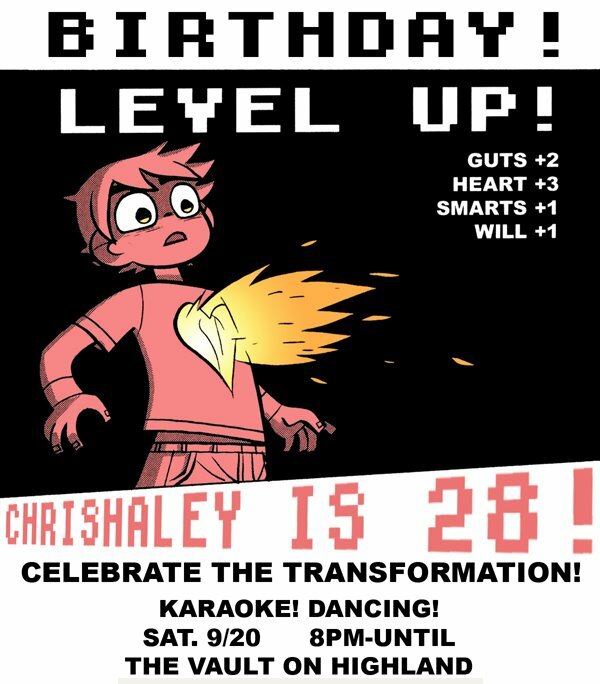 Well, just as I am determined to be the best 30-year-old EVER and I am equally determined to have the greatest Scott Pilgrim themed birthday party OF ALL TIME.